Prof. Dr. Ir. Pieter van West is a past Royal Society University Research Fellow. He is the Director of the International Centre for Aquaculture Research and Development (ICARD) at the University of Aberdeen. He is also the Microbiology Programme lead in the Institute of Medical Sciences at the University of Aberdeen. His current research programme focuses on oomycete biology. 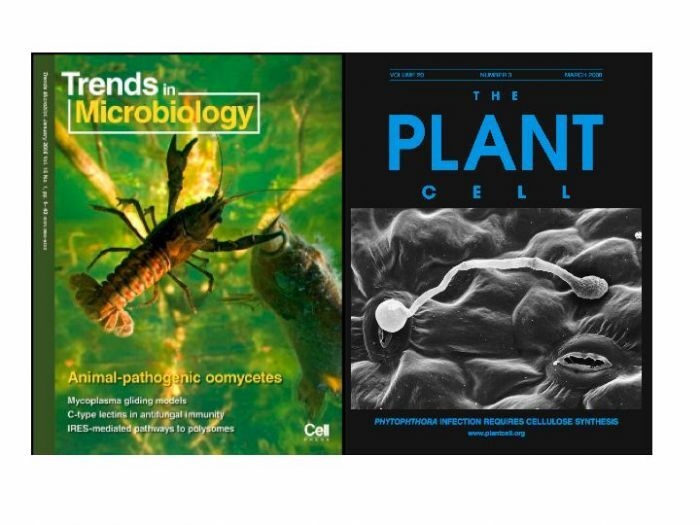 Several economically and environmentally important oomycetes, or watermoulds, are studied at most disciplinary levels (taxonomy, ecology, epidemiology, biochemistry and cellular and molecular biology and especially host-microbe interactions). The animal pathogenic oomycetes under investigation are Saprolegnia parasitica, Saprolegnia australis, Saprolegnia diclina, Aphanomyces spp. and Halioticida spp. The plant pathogenic species include mainly Phytophthora infestans and several Pythium spp. and the algal pathogenic species include Eurychasma dicksonii, Olpidiopsis spp., Anisolpidium spp. and Maulinia spp. The group of oomycete pathogens cause destructive diseases of thousands of (commercially important) plant species and fish. These so-called watermoulds have many fungus-like characteristics, but are not true-fungi. In fact, they are closely related to kelp and diatoms. 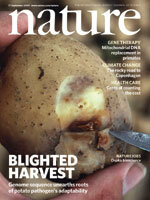 One particular oomycete, Phytophthora infestans, the causal agent of potato late blight, generates global yield losses estimated to exceed over £3 billion annually, making it one of the most important biotic constraints to global food production. It is probably the most destructive plant pathogen in human history, as it caused tremendous human suffering in the mid 1840's due to failed potato crops in Ireland and the UK. One of the most destructive oomycete pathogens on fish is Saprolegnia parasitica. It is endemic to all fresh water habitats around the world and is partly responsible for the decline of natural populations of salmonids and other fresh water fish. Today, losses in the salmon aquaculture business in Scotland alone are estimated at several millions of pounds annually. Despite their economic importance, little is known about the molecular mechanisms accounting for the success of Oomycetes as plant or fish pathogens, or the fundamental molecular processes underlying their development. My research program aspires to identify molecular characteristics that are essential for the development and pathogenesis of Phytophthora, Pythium and Saprolegnia species. the detection of molecular targets for novel control strategies, possibly directed against a variety of Oomycete pathogens. 1 Identification and functional characterisation of zoospore specific proteins from oomycetes via genomic, transcriptomic and proteomics approaches (Figure 1). 2 Identification and functional characterisation of proteins from Saprolegnia parastica, a fish pathogen of salmonids and other fresh water fish (Figure 2), that are essential for development and pathogenicity. Figure 2. Saprolegnia infection on pre-smolt salmon. 3 Investigating the mechanism of Phytophthora and Saprolegnia protein translocation into the host cells (Figure 3). Figure 3 Oomycete effector translocation (Image taken from Wawra et al., 2012 Current Opinion in Microbiology doi:10.1016/j.mib.2012.10.008). Figure 4 Saprolegnia infections of waterborne insects (Image taken from Sarowar et al. 2013 Fungal Biology 117: 752-763). 5 Research into oomycete-algae interactions. Figure 5 Eurychasma infections in Ectocarpus (Image taken from Strittmatter et al., 2015, Plant Cell & Environment doi: 10.1111/pce.12533). Figure 6 Oospores of Pythium polare, a pathogen of moss from the arctic and antarctic regions (Image taken from Tojo et al. 2012, Fungal Biology doi:10.1016/j.funbio.2012.04.005).